There can be more than one kind of oasis in the desert. Not long ago we talked about some palm canyon oases tucked away in the creases of the San Jacinto Mountains. They were the life blood of the original inhabitants here and they were certainly a pleasant discovery for the early explorers. Today some of the “oases” are of the man-made variety and one that comes to mind is the Hotel Lautner up the road in Desert Hot Springs. It’s a beautiful four-room hotel (yes, just four guest rooms) in one of the Coachella Valley’s mid-century modern architectural gems. If you’re up on your noted American architects, you may know the man the hotel is named for, John Lautner. He was one of the most influential architects who worked primarily in Southern California. Lautner studied under Frank Lloyd Wright and designed some of the details for various Wright homes as well as supervising construction. In 1947 he struck out on his own and that’s the same year he designed the Desert Hot Springs Motel, now Hotel Lautner. A stay in Hotel Lautner or one of the other mid-century modern hotels is one of the best ways to personally experience an earlier era in Palm Springs, La Quinta, Rancho Mirage and the greater Coachella Valley. And if you want to really get a feel for modernism in the Palm Springs area, schedule a visit for the yearly “Modernism Week” when there are special tours and programs. It’s set for Feb. 12-22, 2015 and Nov. 1 is when tickets are available. 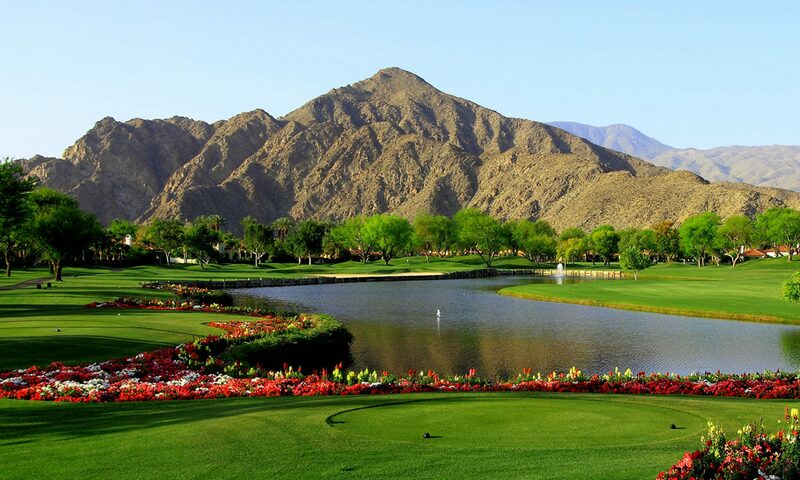 If the architect you’re most familiar with is Pete Dye, you might want to be in La Quinta a couple of weeks earlier for the Humana Challenge at La Quinta Country Club and PGA West. Formerly called the Bob Hope Classic, virtually all the top golfers in the world will be in town as the 2015 season gets rolling in the “Lower 48.” The tournament runs from Jan. 19-25. By the way, there’s a direct architectural connection between the Bob Hope Classic and John Lautner. Lautner’s most famous mid-century modern creation in Palm Springs is Bob Hope’s 17,500 square-feet home that was built in 1973. With fall here and winter just around the corner, a stay at one of La Quinta’s fine hotels is ideal. It’s the perfect time to scout the various golf courses in our area as well as the homes that are on or near them. Imagine purchasing a home on the PGA West courses or at La Quinta Country Club and having such easy access to the tournament. I’d also like to mention that the fact so many world-class events come to La Quinta and the Coachella Valley is testimony to the excellent infrastructure here, including hotels and restaurants. The big tournaments come in for a week or so, while residents get to enjoy the area all year long. If you’d like to get an overview of the valley, with the golf courses and the neighboring communities, be sure to download our free Golf Resource Guide. It maps the locations of all the courses, communities and many restaurants. It also includes membership information and relative real estate prices.